Debbie Downer Moment: Who’s Dead? Two major/minor dirt naps in 1 day? Sadly, yes. 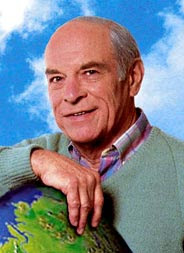 First off, the world mourns the loss (I’ve always wanted to say that) of televisions favorite scientist, Mr. Wizard. Don Herbert, who played Mr. Wizard since the 1950’s has died at the ripe old age of 89. I remember watching Mr. Wizard every Sunday morning before church. I remember being so hungry because we couldn’t eat 30 minutes prior to going to church because of communion. Yeah, it used to be come crazy Catholic rule that you weren’t allowed to eat 30 minutes before going to church. Random, I know. So as much as Mr. Wizard used to rule my Sunday mornings, I have bittersweet memories of him, mainly because I was starving. Next up on the dirt nap list is Frankie from MTV’s Real World: San Diego. You may remember Frankie as being the girl from the reality show who suffered from cystic fibrosis. However, most will remember Frankie not so much from the cystic fibrosis, but as the the first cast member on The Real World who was a “cutter” and from the famous quote by one of her cast members, “And that’s when I realized Frankie was a cutter.” While most assume that Frankie died, at 25, from her cystic fibrosis it has not yet been confirmed and her mother has said that Frankie died unexpectedly. For some crazy reason, similar to Mr. Wizard, I equate the memory of Frankie with me being hungry, but mainly because I couldn’t eat when watching that season of The Real World because I always felt that it looked like Frankie needed a bath and it turned my stomach. What, I’m just saying. Don’t make it seem like you didn’t think the same thing. Look, I wasn’t going to treat her any different just because she had a disease. She looked dirty…disease or no disease. R.I.P You two. R.I.P. Oh, also FYI OPP PYT ASAP.